Make digital product requirements explicit and clear with user stories. Download the eBook to get a handy template & our 3 step guide to writing user stories & defining product requirements! Clearly defined product requirements are critical to delivering a project that meets stakeholder expectations while staying on-time and on-budget. 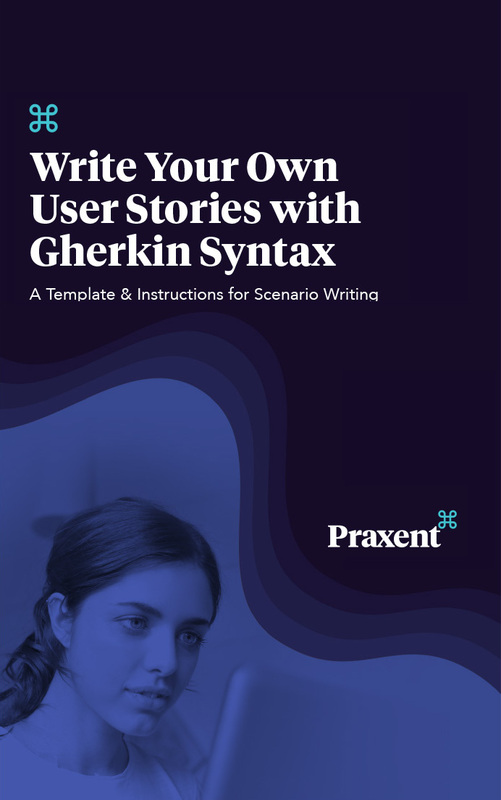 Our 3-Step guid to writing user stories with Gherkin Syntax helps you define the user’s ideal experience with your product and out what should happen at each leg of the journey. This allows you to work through one feature at a time, starting over on the template for each new feature.